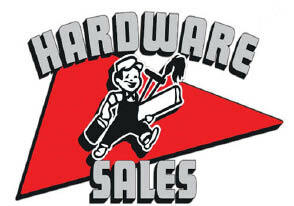 HARDWARE SALES COUPON: $10 OFF your purchase of $75 or more. MUST PRINT coupon, not valid on mobile. Offer not valid on POWER TOOLS, non-discountable Items, Rentals, Red/Green Tag, Special Orders, and Sale Items. Your Bellingham Local Hardware Store since 1962 One coupon per customer. Coupons may not be combined with any other offer. With Valpak�� coupon only. Must present coupon at time of purchase. Coupon void if altered. Expires 05/02/2019. MUST PRINT coupon, not valid on mobile. Offer not valid on POWER TOOLS, non-discountable Items, Rentals, Red/Green Tag, Special Orders, and Sale Items. One coupon per customer. Coupons may not be combined with any other offer. With Valpak�� coupon only. Must present coupon at time of purchase. Coupon void if altered. Expires 05/02/2019.